The Yukon Territory, 1895. A reclusive prospector comes to the aid of a Smithsonian explorer after she dares the frozen wilderness to capture a legendary beast known as the Sesquat. In his cabin, waiting out a storm, he regales her with the tale of his thrilling and often tragic past. From the great gold rushes of California to the silver strikes in Nevada, and then on to the inescapable lure of the Klondike, a father and son strive to keep morally afloat as the surging tide of humanity sweeps upon their land to plunder its wealth. As this age fashioned the destiny of a nation, so too would it forge a hero... A reluctant hero, who must now return to the world he s tried to avoid. To avenge his parents murders, fight for the rights of his people, and ultimately, to embark upon a path into legend. 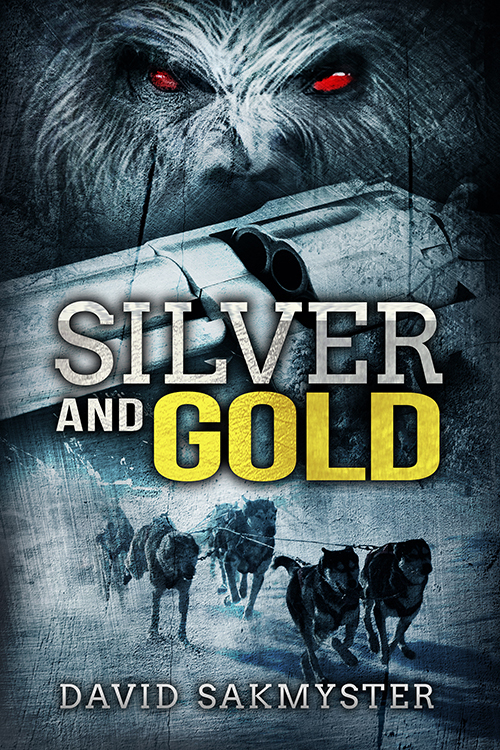 Teeming with fascinating characters and events from the times: from Samuel Colt to Herbert Hoover; from the Civil War to China s Boxer Rebellion; from icy maritime disasters to epic dogsled races, Silver and Gold is an ambitious novel set against the backdrop of the Gold Rush era: an age defined by larger-than-life characters arctic monsters, vile industrialists and noble heroes all vying against the implacable wrath of nature.